Petronella Chigara-Dhitima is a Microfinance expert with experience in 17 African countries and other developing countries in Asia and Latin America. She is the Founder and Managing Director of Mustard Seed Advisory. A seasoned professional, Petronella is armed with over 24 years of experience in Microfinance, SME Development, and Organizational Development in East, West and Southern Africa. She has been instrumental in spearheading green field operations for Accion in West Africa (specifically Ghana and Nigeria), and setting up microfinance divisions in two different banks in Zimbabwe (CBZ and Kingdom Bank). Furthermore, Petronella has shown her ability to transfer skills and knowledge to counterparts, colleagues, and subordinates in several varied cultural and organizational settings. Apart from full time positions, she has worked as a development finance consultant, undertaking short term assignments in more than 17 African countries. She has delivered services beyond Africa in Bolivia, Ecuador, China, India, and Colombia. Within MSA, she focuses on Microfinance Consulting and Financial Education. Petronella serves as the ITCILO MMW Master Trainer responsible for trainer certification; she is a certified SMART Assessor and certified CGAP Trainer. She has taught at the Boulder Microfinance Training Program for the past 17 years; she is also Associate of MFO and ILO. 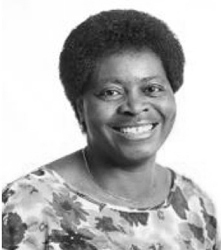 Petronella holds an Honours’ Degree in Business Science from The University of Zimbabwe and a Master of Business Administration from University of Liverpool as well as other industry specific qualifications. Petronella is also a Conference Speaker, Mentor and Facilitator of the Global Business Roundtable. 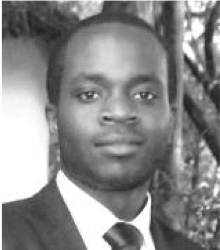 Tawanda is a Senior Associate leading the Credit, Market Research and Product Development services of MSA. He has over 22 years experience both as practitioner and technical services provider in the development finance arena. 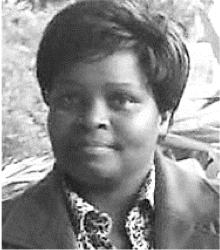 Tawanda’s main areas of professional experience include strategic planning, fostering SME linkages to finance and business development services, program evaluations, operations management, institutional assessments, research, product development, reviewing of regulatory frameworks as well as rating of microfinance institutions. He has worked in several Southern, East and West African countries. Tawanda holds a MBA degree with Milpark Business School in South Africa and an Honors Degree in Economics from The University of Zimbabwe. Shalom is the Business Development Manager, Team Leader for the Financial Education For Young People Programme; she also develops training and workshop material. Her responsibilities include drafting contracts, proposals and managing Financial Education workshops. Shalom is an MFO and ILO Financial Trainer; she has trained young people, entrepreneurs and junior employees to this end. Shalom began her career at ProActive Cards in the UK where she was training Junior employees and continues to train coach and impart Life Skills to young people. 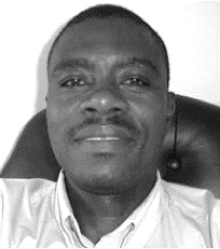 Shalom holds BA Degree in Geography & Planning from the University of Sheffield in the United Kingdom. Sibongile is a Senior Associate responsible for client training and SME development programmers. Armed with over 18 years of experience in more than 13 countries in Africa and Asia, she has grown in the training field to becoming one of the senior trainers in the ILO’s Master Trainer’s Start and Improve Your Business Programme. Sibongile’s responsibilities include designing and implementing training programs for low income clients as well as Microfinance Institution’s staff and managers. Sibongile has worked with a number of development partners in developing their capacity in enterprise development service delivery including Hand in Hand Southern Africa, an NGO implementing the Coca Cola Company 5by20 Africa and the DAI’s Agricultural Development Initiative in Zimbabwe (LEAD) which responsible for Leadership ,Strategic Planning and Governance Development. Sibongile holds a Masters’ Degree in Business Administration, a BA (General) Degree from the University of Zimbabwe, a Diploma in Marketing, Public Relations & Sales Management from LCCI in the United Kingdom as well as a Diploma in Human Resources from ZIPM in Zimbabwe. 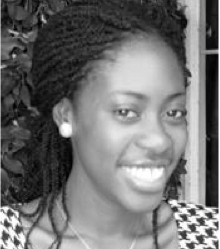 Tinashe is a vibrant and enthusiastic Junior Consultant, armed with vast experience in Credit and Development Finance. He is also a trainer and is developing his Market Research and Product Development skills. Prior to MSA, Tinashe worked at a Credit Only MFI which offered salary based lending and group lending to wholesalers and retailers (vendors) of agricultural produce. Tinashe was instrumental in opening the Zambian Micro-Credit subsidiary of FMC Zimbabwe. Tinashe holds a Bachelor’s Degree in Accounting from The National University of Science & Technology (Zimbabwe) and is studying towards a Professional Diploma in Microfinance with the Harare Institute of Technology. Although we are Small Enterprise, we are able to deliver on assignments of any size across the globe due to our network of associates and partners. We have access to qualified and internationally recognised associates. In Zimbabwe alone, we have 8 associates who are experts in Financial Inclusion Consulting & Training as well as Enterprise Development. An Associate Trainer at MSA. She has over 25 years’ experience in training and institutional capacity development. Her main areas of experience include Financial Education, Farming as a Business and Entrepreneurship; Quality Management Systems; Food Safety Management Systems and Environmental Management Systems. An Associate Trainer and Consultant at MSA. He has more than 16 years of experience in Human Capital Development in financial inclusion sphere and running Workplace Wellness Programming and Community Mobilization for corporate entities. Mathias has developed training materials and implemented wellness programs in many organizations in Zimbabwe. An Associate Consultant and Trainer with MSA. He focuses on identifying and developing leadership potential of young university students, a career spanning over 17 years. His areas of expertise include Financial Education, Transformational Leadership, Attitude and Behavioral Change, Communication, Teambuilding, Conflict Resolution, Emotional Intelligence and Relationship, and Life Coaching and Mentoring. An Associate Consultant at MSA. She brings with her experience of more than 11 years, working with several microfinance institutions in India, China, Myanmar, Philippines, Sri Lanka, Uganda, Ethiopia, Tanzania, Ghana, and Ecuador. Her main areas of expertise include Responsible Finance, Client Protection, Social Performance Management, Product Development, Market Research, Training and Capacity building. Reema is based in India. An Associate Consultant at MSA. She has 15 years of experience in Microfinance Consultancy in institutions all over the world including Egypt, Tanzania and Ghana. Her main areas of expertise include Risk Management, Market Research, Strategic Planning, Product Development, and Staff Training for Microfinance Institutions. She is based in Kenya.